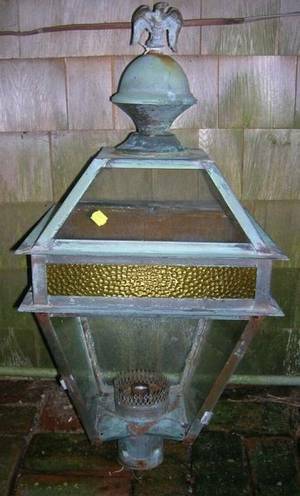 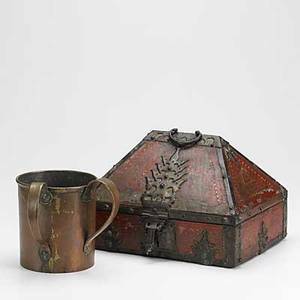 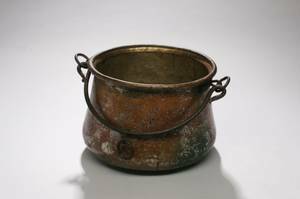 Decorative items; two pieces: hand-hammered two-handled copper cup with raised fish at bottom and a middle eastern hand-painted wooden box with wrought iron mountings, 19th/20th c.; taller: 9"
19th Century Copper Eagle Weathervane. 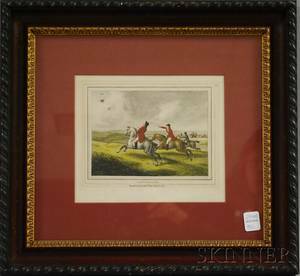 Eight Framed Mostly Hand-colored 19th Century Periodical Illustrations Depicting Views of Rhode Island. 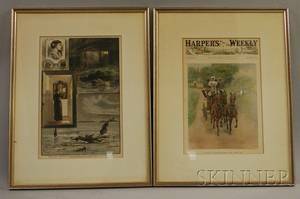 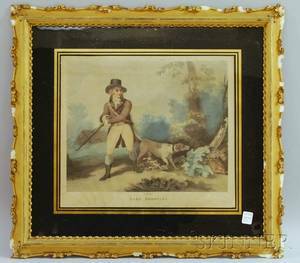 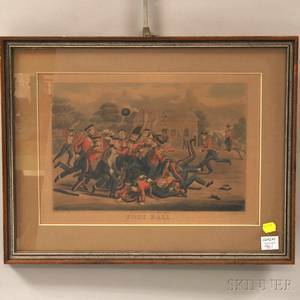 Set of Three Framed Hand-colored 19th Century Periodical Illustrations Depicting Scenes at the U.S. Treasury Building New York.